The Washington, DC Community Center for Boys sponsored model-building contests in the 1930s. This Travel Air Racer model was entered in 1931. Inspired by the popularity of aviation in the 1920s and '30s, building and flying model aircraft became a popular pastime for young people, and contests were common. The Washington, DC Community Center for Boys, in association with Smithsonian curator Paul Garber, sponsored model-building contests throughout the 1930s. Douglas Bruce built this model of the record-breaking Travel Air Racer from scratch in 1931. 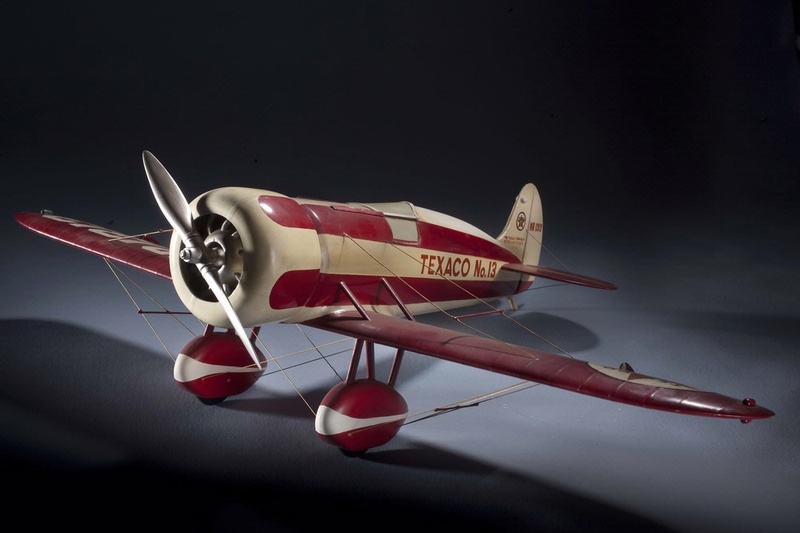 Find out more about Texaco Travel Air Model R, 1/12th Scale.